" …NEW ALBUM - BESIEGED- CLICK HERE…"
An introduction to the work of Nick Burbridge, folk-rock band McDermott's Two Hours and Tommy McDermott's Theatre. Nick is an Anglo-Irish writer and musician based in Brighton, England and married with three children. He has been active for over thirty-five years as a poet, playwright, novelist, documentary, short story and song writer. His writing is characterised by a commitment to the dispossessed, undertaken without profit, and in relative obscurity. 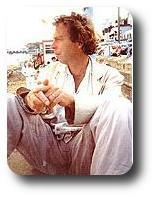 His short stories and poems have appeared in literary journals, and on BBC Radio, and he has three poetry collections published. A non-fiction work, with ex-military intelligence officer Fred Holroyd, War Without Honour, was launched at the House Of Commons and caused significant political disquiet, while his novel Operation Emerald, under the pseudonym Dominic McCartan, also proved controversial. 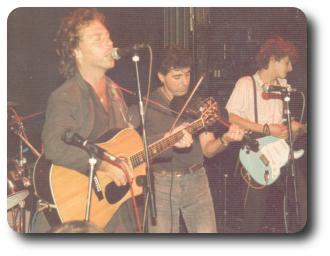 In 1986, as singer-songwriter, he co-founded McDermott's Two Hours (see their myspace page), a band that 'cut the mustard' (Q Magazine), and earned a reputation as one of the best live acts of its genre.Their album The Enemy Within (Hag CD2) has become a folk-rock classic. One track, 'Dirty Davey' was covered by The Levellers on their eponymous album. Goodbye To The Madhouse; also a unique recording of poetry, music and effects, All Kinds Of Disorder. 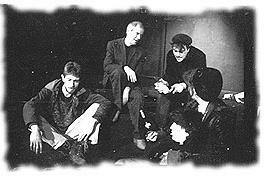 These were followed by a new acoustic album, Gathered, which earned Nick the Spiral Earth Best Songwriter Award 2013. A McDermott’s Two Hours’ compilation album, Anticlockwise, was issued later in the year, while Nick’s work appeared on the A Level Communication and Culture syllabus. 2016 saw the release of another acoustic album, Resolved. This was succeeded by a full McDermott’s Two Hours electric album, Besieged, in conjunction with The Levellers and Oysterband. Nick is writer-in-residence with Tommy McDermott's Theatre (founded 1989), a Brighton-based company dedicated to producing politically informed and dramatically inventive work, which draws on a wide range of local resources. It has collaborated with the Soho Theatre Company, The Common Sense, and youth and college drama groups in the area. TMT has been responsible for several successful Brighton Festival productions, outreach work and community projects. Nick's work has also featured regularly on BBC Radio 4. For all his tireless creativity, Nick has for years been an outspoken sufferer from endogenous depression, and this has been a major factor in both his narrative concerns, and limitations in realising his work. Poetry, songs and short plays of critically acclaimed calibre are still produced at regular intervals.